As the popularity of its whisky grows, an increasing number of beverage-loving travelers are designing trips around visits to the various Japanese whisky distilleries located throughout the country. Japanese whisky (note: it’s spelled whisky, not whiskey, in Japan) has been finding its way into homes, bars, and restaurants all over the world, particularly since the late 20th century. Today, Japanese whiskies have won both international acclaim and a variety of prestigious industry awards, but behind this rising global popularity is a production tradition shared across a relatively small number of historic distilleries. Found throughout Japan, these distilleries showcase the country’s beauty, along with a whisky-making culture that is both pleasantly familiar yet intriguingly distinct from Western convention. Whisky fans from across the world have taken note, and distillery visits offer whisky enthusiasts a way to simultaneously experience Japan while indulging in its proud whisky tradition. If you’re planning your own glimpse behind the scenes of Japanese whisky making, we’ve put together a list of the country’s most interesting distilleries to help you map out your perfect Japanese whisky tour! No tour of Japan’s whisky distilleries would be complete without a stop at the Suntory Yamazaki Distillery. Founded in 1923 by the godfather of Japanese whisky, Shinjiro Torii, Yamazaki is Japan’s oldest distillery. 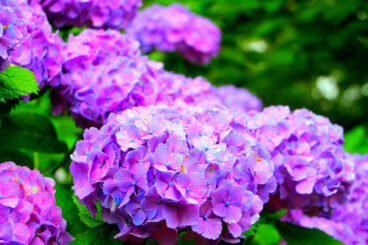 It’s located on Honshu between the cities of Osaka and Kyoto, at the foot of Mount Tennozan. Home of the famous 12 Year Old (named the “World’s Best Whisky” at the International Spirits Challenge in 2003), Yamazaki also produces the popular 18 and 25 Year Olds using water drawn from Tennozan’s mountain streams. 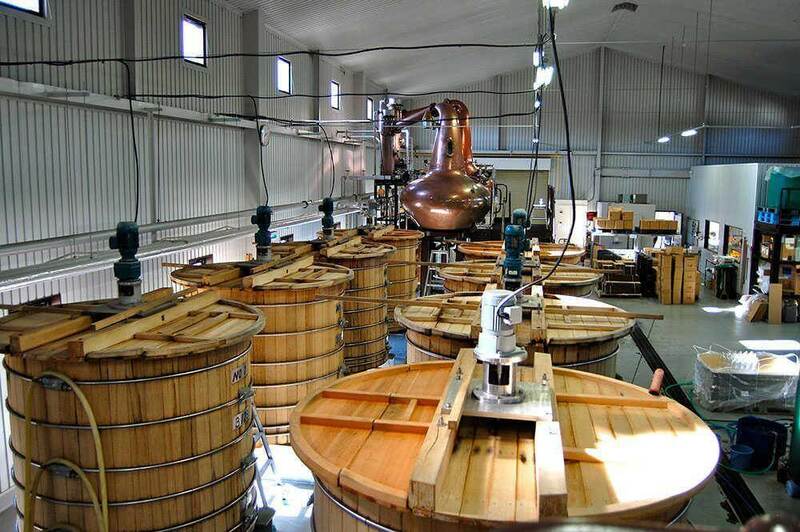 Tours of the distillery can be crowded, so booking as far in advance as possible is wise. Beyond tasting and production insight, visitors can look forward to the Yamazaki Whisky Library, where more than 7,000 bottles of whisky have been assembled. After the famous Hanyu Distillery closed in 2000, Ichiro Akuto, grandson of the original owner, bought the remaining casks and continued his family’s legacy by establishing the Chichibu Distillery in 2007. Today, Akuto is well-known across Japan’s whisky landscape, since the Chichibu Distillery, while still relatively small, has a reputation for experimentation that has earned fans across the world. Chichibu is located in the mountainous Saitama Prefecture around two hours from Tokyo, and while the distillery itself doesn’t run formal “open hours” for visitors, it is possible to arrange a tour by calling ahead. During your time at Chichibu, keep an eye out for the distillery’s Mizunara oak washbacks and copper stills, and make sure to try varieties of Ichiro’s Malt brand (among many others). Nestled in the splendor of the Japanese Alps, the Hakushu Distillery is another Suntory establishment, a two-and-a-half-hour train ride west of Tokyo. Surrounded by a pine forest and spectacular mountain ranges, the Hakushu Distillery has a close relationship to the natural environment and even hosts a bird sanctuary on its grounds. Melted snow from the surrounding alps is used in the distillation process, creating a sweet, smoky flavor profile in the whisky. Although there are no English language tours of the facility, headphone tours are available for Western visitors. 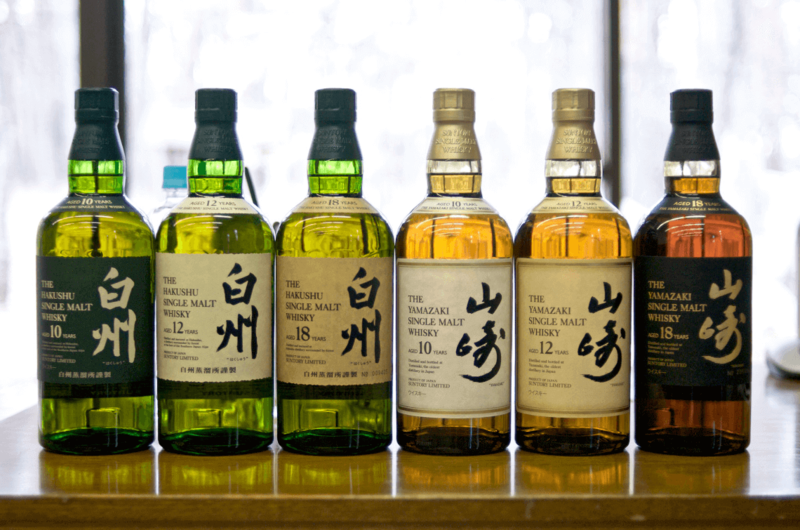 Whisky fans should seek out the Hakushu 12 Year Old, but the tours provide a range of memorable tasting experiences. Be aware that this popular distillery can be fully booked, so reservations are highly recommended. In the shadow of Mount Fuji, the most famous peak in Japan, lies the Fuji Gotemba Distillery, which actually stands as the largest distillery in the world. Situated in a region with a climate very similar to Scotland, the complete Fuji Gotemba Distillery covers 1.7 million square feet, and produces 12 million liters of whisky per year. The site is so large that it incorporates its own bottling plant and cooperage. Tours of the distillery showcase Fuji Gotemba’s vast facilities and also include an intimate nosing and tasting session, with samples of the famous Kirin 25 Small Batch Grain and the 17 Small Batch Malt. Golf fans have an extra reason to be excited about visiting Fuji Gotemba, since the distillery is close to five scenic golf clubs. Other points of interest include Yama Shrine, the lovely Hakone area (home to many wonderful ryokans), and — if you’re lucky with clear conditions — breathtaking views of Mount Fuji. On the chilly northern island of Hokkaido, the Yoichi Distillery stands west of the city of Sapporo. 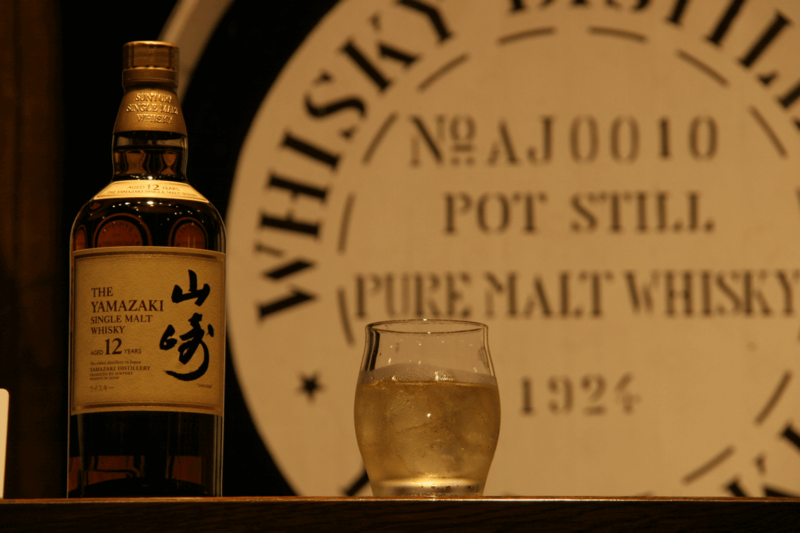 They produce distinctive, peaty whiskies that are very popular across Japan and the rest of the world. The Yoichi Distillery is owned by the famous Nikka company, and was founded by another godfather of Japanese whisky, Masataka Taketsuru, who also helped to establish the Yamazaki Distillery. Often covered in snowfall during winter, or surrounded by floral colors in spring, tours of Yoichi showcase production facilities that, in many cases, have been unchanged since its founding in 1934 and are still used today. Guided tours aren’t given in English, but headphones are available for language needs. The tours lead visitors through Yoichi’s whisky production tradition and end in a museum charting the history of Nikka and Taketsuru. Sample opportunities to look out for include the Pure Malt 17 and 21 Year Old, and the Pure Malt Black. Located in Nagano Prefecture, between the southern and central alpine ranges, the Hombo Shuzo distillery is — at 798 meters above sea level — the highest in Japan. The colder alpine climate is ideal for distillation. Mars varieties are fed by melted snow from the nearby mountains to create balanced, smooth, and elegant whiskies. We hope our guide to Japan’s most essential whisky distilleries helps you plan your visit to Japan! And if you’re interested in some of Japan’s other most notable beverages, make sure to see our guides to drinking sake and shochu in Japan.